The partners of Walsh King LLP are proud to announce the appointment of Kulwant Sidhu, CPA, CA as a Tax Partner. 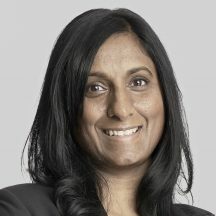 Kulwant moves into this new leadership role in the tax group from her position as senior tax manager. An outstanding professional who has helped build one of the strongest CPA tax groups in Vancouver, Kulwant has extensive experience in serving clients and providing a high level of expertise in a wide range of industries. Her dedication to the firm, our staff and our clients have made her an important part of Walsh King for more than 10 years.